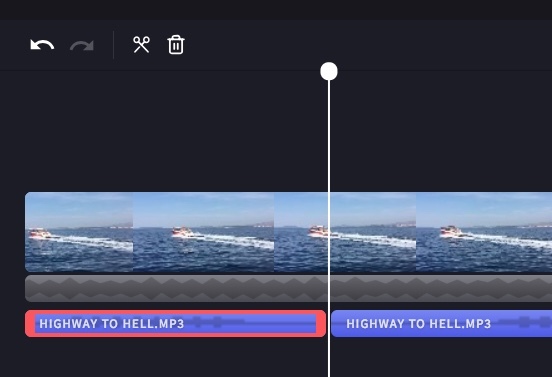 If it's not already there, drag and drop the video, image or audio from the media library into the timeline at the bottom of your project. Drag the scrubber (the white vertical line with a circle on top) to where you want to split the clip. You’ll also see the time position in the centre at the top of the timeline. If you want to split everything under the scrubber, don't select anything. Click the scissors icon in the top left hand side of the timeline. 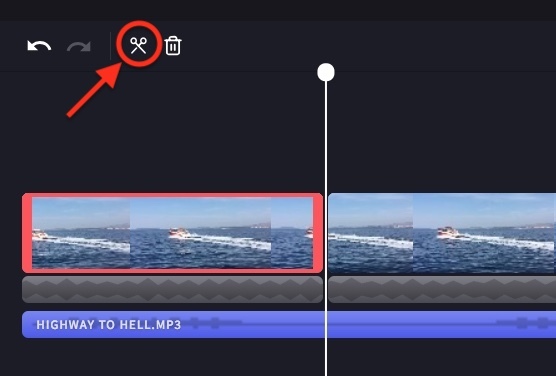 If you'd like to delete part of the split clip, click on it and then click the trash icon. The selected clip will be deleted. How is splitting different to trimming and cropping? 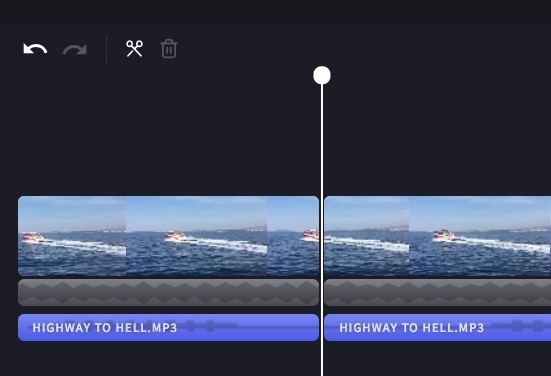 Trimming a clip allows you to drag the edge of a clip left or right to shorten it or lengthen it. However, you can also 'trim' a clip by splitting it and then deleting the remaining part as shown above. 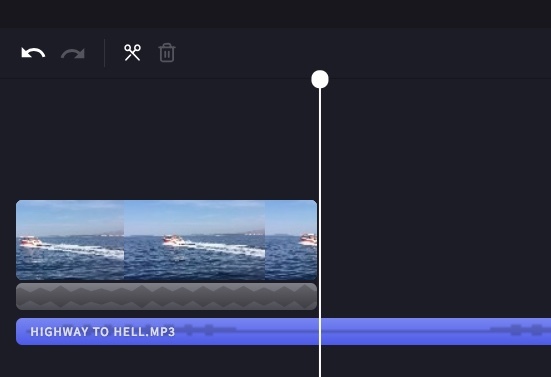 To learn how to trim a clip, see: trimming a video, audio or image clip. 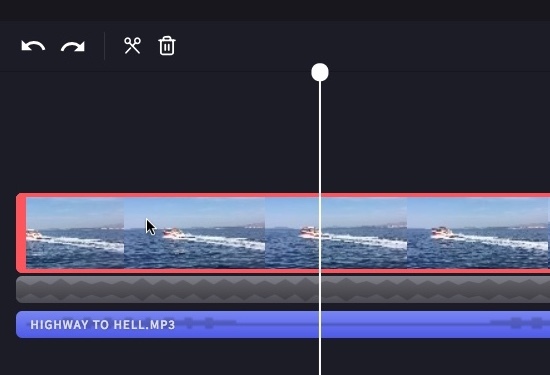 Cropping a clip allows you remove unwanted edges or black bars you see in the frame of a video to "zoom in" on it. It is different to splitting, which involves cutting a clip in two. 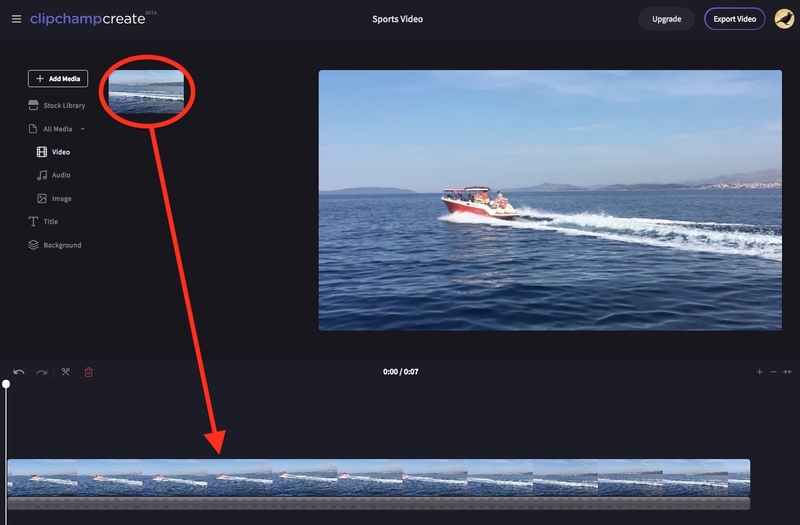 To learn how to crop a video, see: cropping videos or images.